While we all wait for the Fortnite servers to come back up, there are season 6 patch notes to read! Season 6 of Fortnite has officially been released into the wild, and with it comes a fresh batch of patch notes. 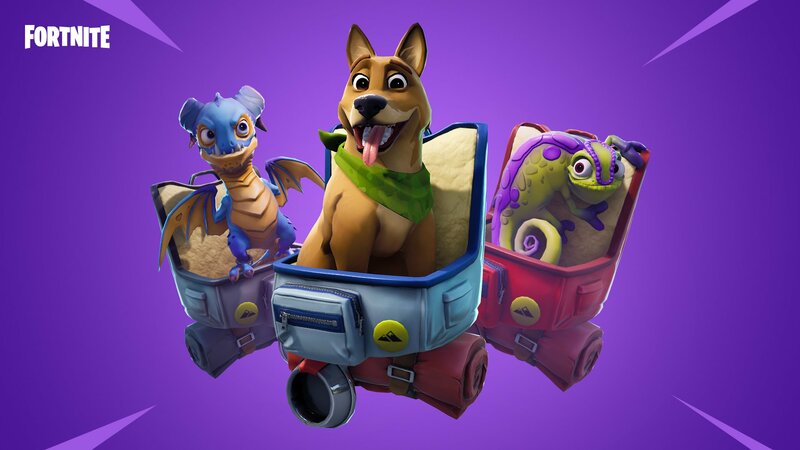 The v6.00 patch notes reveal a whole lot of new additions coming to the hottest game of the decade, with pets finally making an adorable appearance and the iconic Fortnite Battle Royale map receiving some spooky changes. Aside from floating islands and a few new mysteries to find around the map, other goodies include the new Fortnite Battle Pass featuring 100 new levels to grind through and 100 new rewards to earn. Players looking to get their hands on some sweet new skins and emotes will need to pick up the Fortnite Battle Pass for 950 V-Bucks. All of this comes off the back of an incredible announcement that Sony has decided to play nice and will be letting PlayStation users play Fortnite cross-play with other platforms. Before getting into the juicy details of the patch notes, feast your eyes on this Fortnite season 6 trailer! New Season, new Battle Pass. 100 levels, over 100 new rewards. Available in-game right now for 950 V-Bucks. Find out more information on this season's Battle Pass here. Fixed a rare crash that occurred when taking focus off the game, such as “alt-tabbing”, and then bringing focus back into the game. Reduce hitching on Mac caused by graphics allocations. Shadow Stone icon appears in empty slots of inventory upon dispersal on mobile. Consumable typically found around corrupted areas of the map. 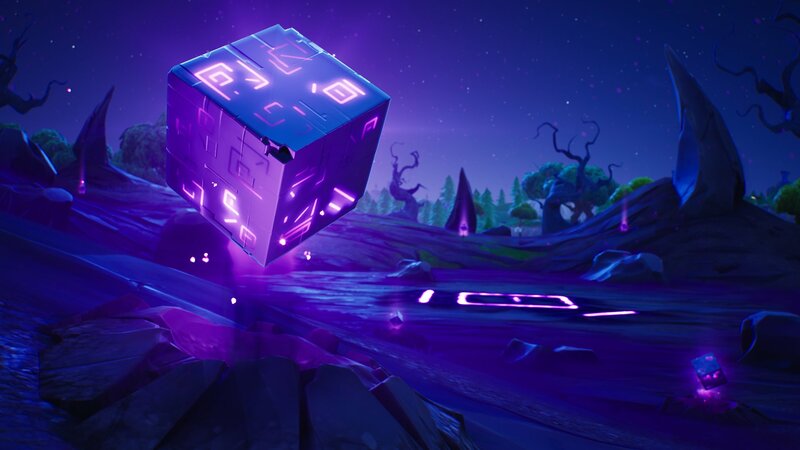 Using a Shadow Stone will apply ‘Shadow Form’ for a brief period. Become invisible to enemies when stationary. You become more visible and leave behind a Shadow Trail when moving. Gain increased movement speed, jump height and fall damage immunity. Gain a new ability, Phase, can be activated by pressing the Primary Fire button. Phase: Propels you in the direction you are facing, and allows you to pass through objects. The effect lasts 45 seconds but can be exited early by holding down Alt Fire button (aim down sights). Added momentum functionality to Grapplers. When hitting a moving object (vehicle, player), its momentum will be added to your launch force. This only happens when the momentum would be a net gain, you cannot lose momentum. Grappler charges reduced from 15 to 10. Double Barrel damage reduced from 143/150 to 114/120. Reduced Dual Pistol floor loot drop chance from 1.49% to 0.88%. Players will no longer be launched with greater force than intended when using the Grappler in a vehicle. Using a Grappler while using a Launchpad will no longer cause inventory functionality issues. The top half of a players model will no longer clip through walls when using the Grappler while crouched. Fixed a visual issue that could cause the plunger to be visible on the Grappler while the projectile is active. Players are no longer prevented from changing equipment when firing the Grappler while switching weapons. Adjusted the timing of the Heavy Sniper reload animation to match more closely to when the bullet is reloaded. Reduced the amount of force applied when shooting a vehicle with a Shotgun. Drop in and find the rest in-game! Choosing your configuration has changed to a selector on the left side of the menu. After selecting Custom, the right side of the menu becomes buttons that are selectable. When a button is clicked, it opens a list of actions that can be assigned to that button. Mode selection (Combat, Build) has changed to selectable by triggers. When in either Combat or Build mode, the actions for that mode and the actions that span between modes will appear in the “actions list” to select from. Players using a keyboard and mouse on PS4 will now be put into the PC matchmaking pool. Start matchmaking with your preferred input device. You will be queued with the input type you press the “Play” or "Ready" button with. If you start matchmaking with a keyboard and mouse, then you'll be queued in the PC matchmaking pool. However, you'll be able to switch to a controller mid-match if you'd like. If you start matchmaking with a controller, then you'll remain in your platforms normal queue. However, you'll be unable to switch to a keyboard and mouse mid-match. PC players are unaffected by this change. If you use a controller on PC then you'll remain in the PC matchmaking queue. Moving Safe Zone circles in the late game now move 50% further from the previous safe zone. Moved the ATK horn to down on the D-pad to allow for autorun. Traps can no longer be placed on wire fences. Increased the precision and frequency of rotation values sent over the network so that changes to other player rotations and aim direction appear to be smoother. Improvements made to prevent players from appearing to have jittery movement, especially during skydiving. Caused by incorrect acceleration values being sent over the network. This was also sometimes causing other players to appear to be using the wrong skydiving animation. Optimized texture binding rendering code on Switch. This improved CPU and GPU performance, resulting in smoother gameplay and higher resolution rendering. Optimized performance when many players are on screen. Optimized movement for supply drops. Improved performance and memory for Android devices running Vulkan. This affects the S9+ Adreno, Note 9 Adreno variants. Players will now have an option in the Locker to select their preferred music choice. Unlock new music from the Season 6 Battle Pass. Changed the processing of footsteps to add more contrast between above/below. Below steps now sound more “echoey” like they’re coming from the basement. Footsteps will decrease in pitch the farther they are below you, and increase in pitch the higher they are above you. The volume of footsteps blocked by terrain, buildings, or player built structures has been increased slightly. Find more information on footstep audio updates here. Increased the distance that you can hear open/close Glider sounds. Increased the audio range for players skydiving to match that of players gliding. Added a doppler pitch effect to the gliding audio. This creates that “car pass by” effect as players fly overhead. Fixed and added audio for the Plunja and Tat Axe pickaxes on mobile and Switch platforms. Updated the Locker layout to fit more item types. Removed trailing periods and added "the" in the appropriate place in the privacy screen. The display of the purchase button area in the Battle Pass screen will no longer briefly show incorrect information on first entry. Challenge headers will no longer show the wrong category name and style after scrolling. Added improvements to Storm visualization, including rain & lightning effects which will increase as the Storm intensifies. A minor visual change has been made to the mesh shirt underneath the arms of the Power Chord Outfit. This is to fix visual issues caused by the mesh shirt during certain animations and emotes. Replay playback speed can now be adjusted with a controller when the replay HUD is hidden. Moved "High-Quality FX" flag to Lens settings, and automatically hide certain aperture & focus settings if the depth of field effect isn't active. Replays now correctly use the movement keys set in the Input settings. Inverted the default direction of the third person camera to make the controls consistent with all the other cameras. The third person camera now works with the inverted Y axis option. Alt will no longer open the inventory screen while in a replay. The "Skip Forward" button will no longer stop working during a paused replay. Health bars no longer incorrectly animate when enabled while in replays. Health bars no longer turn green when a downed player is eliminated. Replay follow cameras no longer change targets every time the timeline changes or refreshes. The drone attach camera position is now correct after the timeline has reset/refreshed. Item tooltips in-game will now display more consistently. The Guided Rocket turn rate is now consistent with other platforms. Touch controls on the map will now function correctly. Video settings now display correctly on the Note 9. Level-up and evolve your favorite items during the Cram Session mini-event! Mini-Boss Mission Alerts are active, and up to 10 can be completed per day. For the duration of the event, Mini-Boss Mission Alerts will drop two XP, Evolution Material, RE-Perk, or Perk-UP rewards instead of one. Mini-Boss Mission Alerts will drop Gold instead of Tickets. Mini-Boss Mission Alerts will not drop Heroes, Schematics, Survivors, Mini-Llamas, Transform Keys or V-Bucks during this event. Added four quest lines, each of which has ten stages that grant increasingly better one-time rewards upon completion. (Hero/Schematic/Survivor XP, Evolution Materials, PERK-UPs, or Gold). Has repeatable quests that award Elemental PERK-UPs , RE-PERKs, and Evolution Materials. XP and Evolution Materials granted by Mini-Boss Mission Alerts will now scale up more smoothly with mission difficulty. Fixed a hitch when equipping an ability that uses a placement indicator. Fixed a hitch when the pickup message appears. Fixed a hitch caused by equipped item widget. Fixed a hitch related to hero feedback audio. Fixed a hitch in the initial tutorial level. Fixed a hitch during the first storm shield defense. The Event Store will feature MEGABASE Kyle for the duration of Cram Session. Fixed an issue where Outlander abilities continued to gain the benefits of Charge Fragments after they were depleted. Movement speed percentages are now consistent between Smokebomb ability tooltip and Up In Smoke perk tooltip. Fixed some inconsistency in Constructors tooltips for Firewall, Hyper-threading, Supercharged Plasma, and Grease the Wheel. Ratatat is a fast firing automatic pistol. Extremely effective at hip firing and close range encounters. Available until October 3 at 8 PM Eastern Time. The Weekly Store will also feature some returning items during Cram Session. The Hydraulic “Pulverizer” Hammer is back this first week. The Pulverizer delivers very high knockback at a slow swing rate and has a heavy smash attack that knocks back nearby foes. Available until October 3 at 8 PM. Crosshairs on the HUD will more clearly indicate when a ranged weapon has perfect aim. Fixed the crafting time of the Wraith to be the same as other Legendary weapons. Fixed Leap Attack not triggering vibration on controllers. Fixed Leap Attack not displaying launch visual effects. Fixed some lootable objects being invisible, such as tin cans and bacon containers. Fixed an issue where weapon elemental effects wouldn’t be visible to other players. Fixed visual effects for the Bowler sometimes not displaying for multiple bounces in quick succession. When enemies attack player-built structures from close range a red outline of the enemy will be visible through the wall, making it easier for players to spot them. Fixed several issues where players couldn’t place certain player built structures on some sidewalk areas. New Riot Husky enemy added! The Riot Husky carries a refrigerator door that will block most player attacks from the front. The Riot Husky will bash players with his fridge door. The Riot Husky will be able to spawn with elemental modifiers. The unopened Llamas pop-up on the Loot Tab now lists the names of each unopened Llama. Added the option to show network data stats to the HUD. The Mission Details Reward list now shows multiple rewards of the same type when they are present. MEGA Alerts will now show the correct reward quantities as a result. Updated item inspect screen to disable level up button when upgrade menu is open. The details panel will now scroll on a gamepad while batch recycling Heroes. Fixed an issue where HUD option descriptions wouldn’t appear in the Settings. Fixed overlapping text on the perk list of the Hero inspect screen. Fixed issue where the "Select Game Mode" button would sometimes be visible in the top menu while in a zone. Fixed the vote indicator sometimes staying visible after a vote has ended. Vote dialog will now show max difficulty correctly in group missions. Fixed players getting disconnected from the lobby when launching the "Play with others" option. Added Music to Down But Not Out state to better communicate danger. Fixed several music issues in menus, victory sequence, and ambient tracks. Fixed mix issues with Smashers and Takers not being heard during combat. How does this have a 6 season already? How short are the seasons? About 10 weeks I believe.